Does your consignment shop offer layaway? If not, you may want to think twice. Layaway is a customer service benefit that can be a nightmare for the shop owner but a blessing for the customer. The concept began during the Great Depression. Shoppers bought items they otherwise could not have afforded. The benefit to the customer to use layaway vs. credit is the difference between a nominal service fee and the interest that accrues on their credit card. Since the recession of ’08, layaway has seen a resurgence. Today’s consumers are aware of the massive amount of debt they’re under and are looking for ways to save. If your shop is looking to gain pre-recession type sales numbers, offering layaway may just be the ticket, especially for the holidays. When properly managed, layaway can be the difference in a small sale vs. moving a large ticket item. Anytime a shop can make it easier for customers to purchase, the more chances they’ll have to move merchandise. This is where the shop owner comes in. 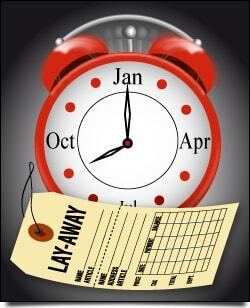 Layaway involves instructing your salespeople about clearly written policy guidelines. POS systems such as SimpleConsign make the process easier by automatically setting the number of days you allow for layaways; the required down payment based on the percentage you’ve predetermined and even show the recalculated total and payment history on a customer’s receipt. However, this doesn’t take into consideration the necessary storage space needed. Your backroom has to keep a customer’s item secure so it can be found quickly once their bill is settled. Since layaway items cannot be considered a completed sale until all the payments have been met, your sales numbers will have to be adjusted properly as well. Often, each layaway item must be listed as a separate transaction. RetailMeNot offers some great suggestions and lists this year’s layaway guidelines for several of the larger retailers. Recently, Moneyish suggested Millennials in particular are showing more interest in layaway. Already cash strapped due to high student loans, this generation is avoiding credit cards. Layaway is the perfect answer to buy now, pay later. Some merchants are even offering FlexPay. By automatically pre-setting a regular number of payments and the total dollar amount of each payment, the purchaser is forced to budget accordingly. Remember, make it as easy as possible for your shoppers. After 4 payments of $20 each, I eagerly picked up my new shoes. My high school reunion was a huge success. However, by the end of the evening not one attendee had commented on my gorgeous shoes. So after a few glasses of wine and a memorable time dancing to Earth, Wind and Fire’s “Boogie Wonderland,” I threw my feet up on the table and demanded that everyone ogle my extremely elegant $80 shoes. To this day, I have those shoes tucked away, lovingly wrapped in tissue and living in their original box as a reminder that layaway can save the day.